Stephen G. Purcell is an aggressive and experienced civil litigation attorney with over 15 years of experience focusing on all aspects of insurance defense litigation. 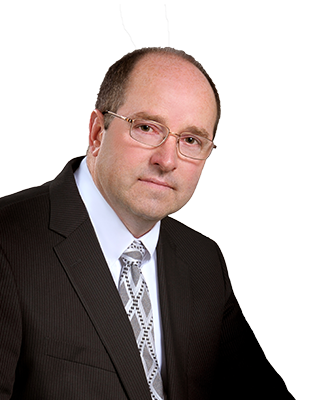 He has successfully defended lawsuits involving significant personal injury claims arising from all aspects of alleged negligence, including premises liability and automobile accidents. He handles all related matters concerning contracts and defense and indemnification issues involving insureds, property owners, property management companies and contractors/vendors. He also focuses on all aspects of insurance coverage litigation. Mr. Purcell understands the complex nature of insurance defense work and the multiple issues involved in vigorously defending a client's best interest while handling cases in an efficient and cost-effective manner throughout the litigation process. He does not hesitate to recommend early resolutions of cases when appropriate based upon potential liability exposure and a proper understanding of the merits of a case. He has extensive experience in utilizing forums outside the court system such as Mediation, Arbitration and Alternate Dispute Resolution procedures to bring matters to a conclusion. Mr. Purcell obtained his B.S. from King's College in 1987 and then was employed for several years as a claims adjuster by State Farm Insurance Company handling both first and third party claims. He was also a member of the company's nationwide natural disaster emergency response team and a designated Re-inspector Trainer. After working for the insurance company in New Jersey and Nebraska, he attended Creighton University Law School in Omaha, Nebraska where he was a published member of Law Review and Moot Court Champion. He obtained his J.D. in 1994 and thereafter was employed as a Law Clerk to the Honorable Frank A. Buczyinski, J.S.C., Ocean County, New Jersey.